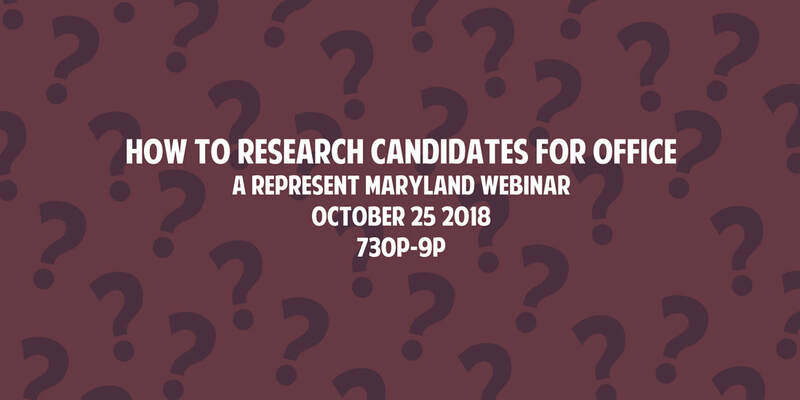 Learn how to research candidates for public office! How do you cut through the spin and get to the facts? Luckily there are tools available to do just that. But even they can be overwhelming! -Vote411.org-a non partisan tool developed by the League of Women Voters. -VoteSmart-a non partisan, independent tool. -The MD CRIS System-where candidates for state and local office must report their campaign contributions. These three tools will help you learn more about a candidates positions, political history, voting record and campaign donations, so you will feel more confident when you cast your vote this November! This webinar is free, but you must RSVP in advance for the link. Donations are appreciated, and help us continue to do this work.